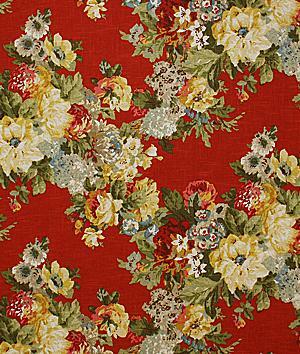 But recently I've really been digging red fabrics and have been thinking about mixing them with pinks and lavenders for pretty, feminine spaces. 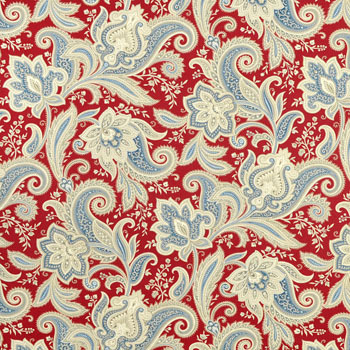 The perfect patriotic red, white and blue paisley - great for a holiday tablecloth! 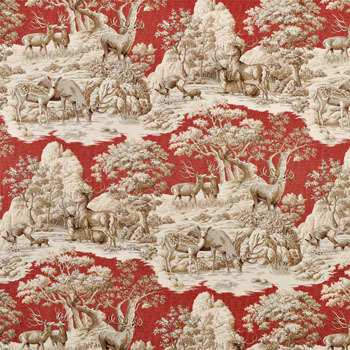 A pastoral toile with masculine tones of sepia - great for a library or study for your favorite huntsman. 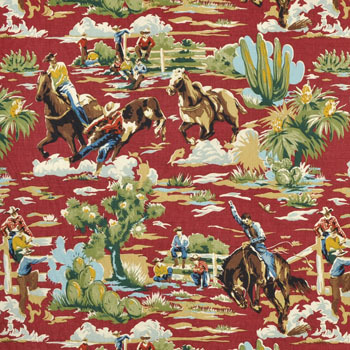 An adorable cowboy print in the most gorgeous rainbow of colors - a fantastic focal point for a little boy's room. 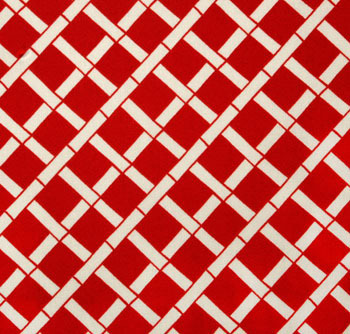 A classic red and white bamboo trellis fabric - and this one is indoor/outdoor so perfect for the patio. Is red your signature color? How do you use it? LOVE red. I'm mixing pinks and reds with blue for the ORC. 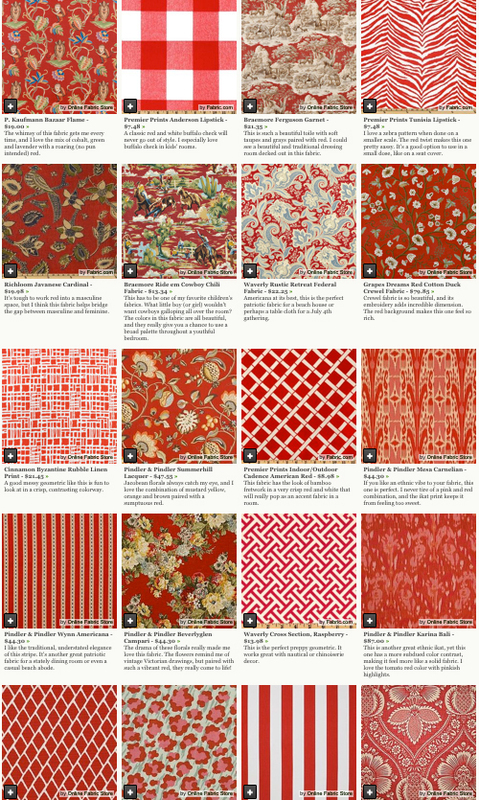 You are so knowledgeable about fabrics, please see the fabric request I have up today? I'm desperate to find it! 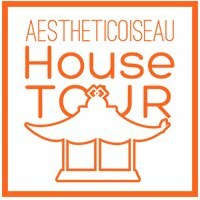 Chinoiserie Memory Game and More!